So, today I finally had all the information needed to register for the Ottawa Linux Symposium; information such as my ability to take time off work to attend (this is always harder for students). However, upon logging into the registration site, I was informed that registration closed three days ago. I eMailed Andrew Hutton about being put on the waiting list, but I'm sure my chances are pretty low. I was really counting on making it in. I did manage to make it into the Desktop Developers' Conference taking place during the two days preceding OLS. 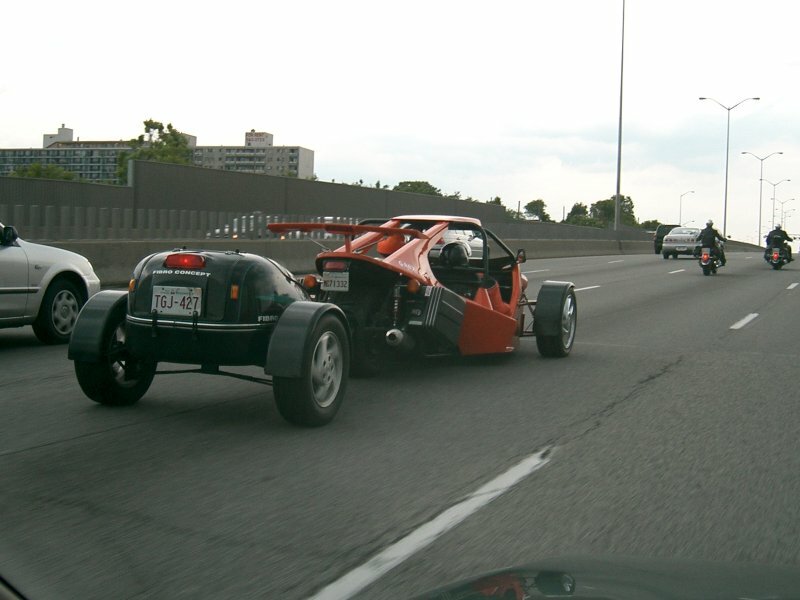 As I was driving down the Queensway today, I encountered the strangest vehicle I've ever seen on the road. It was small, open, three wheeled, very low to the ground, had a funky trailer, and bore a license plate from New Brunswick. Then, on my way from the car to the meeting, while stuck on the median of Bronson Avenue, the strongest rain I've ever encountered pelted at my face. The wind was so strong that the water was flying nearly horizontally. I could hardly see anything a metre away, and was completely soaked in a matter of seconds. The wind was so powerful that it literally threw me off balance as I ran for shelter, and the raindrops hurt more than the ice during a hailstorm. I've never been that soaked by rain in my life. In terms of fixing the car, I went to get a quote at a body repair shop during lunch. Still waiting for the man to get back to me. They think they can fix the hood; I'm skeptical. I did manage to buy new headlights for a very reasonable price, however.